NIA CHARLESTOWN NEVIS (October 05, 2015) – The Nevis Island Administration in its continued quest to enhance the tourism sector and by extension the economy of Nevis contracted ARC Associates Inc. based in Canada and the International Airport Development Company Ltd. based in St. Vincent and the Grenadines to engage in a feasibility study for the expansion and rehabilitation of the Vance W. Amory International Airport. 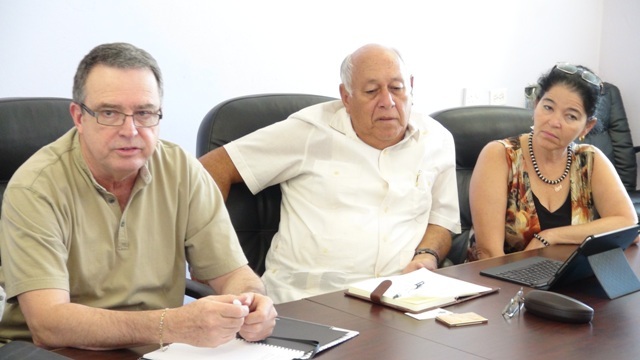 Consultant Engineer Leonardo Perez and Project Coordinator Luz Maria Guerra Brito of International Airport Development Ltd. and Engineer at ARC associates Inc. Daniel Casal met with Minister of Communication and Works Hon. Alexis Jeffers and a team of senior officers from the Nevis Island Administration (NIA) on September 30, 2015, on a fact finding mission. 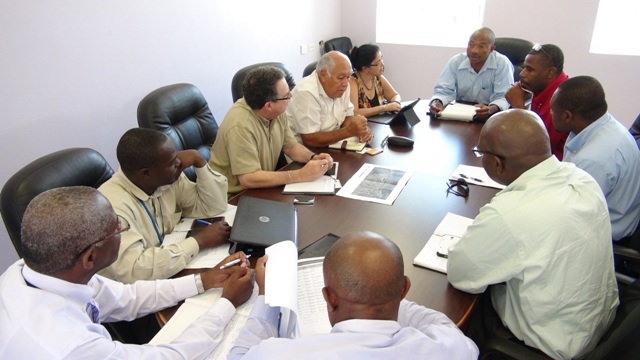 The meeting was held at the Ministry of Communication and Works conference room, was in preparation for a feasibility study regarding the expansion and rehabilitation of the Vance W. Amory International Airport. In brief remarks at the start of the meeting, Mr. Jeffers told the Department of Information that a master plan, which the NIA would use to determine what steps it would take to advance the planned project, should be compiled by December. He said the Administration is excited about the project and described it as an important one which would serve to enhance the island’s tourism sector and by extension the economy. He added that he would report to the public on the status of the proposed project, what the plans would entail and when it would be executed. 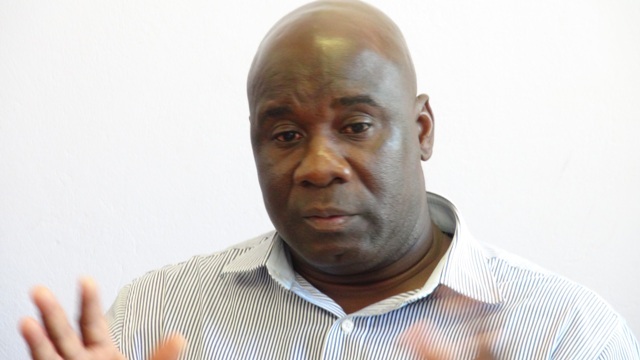 According to Mr. Jeffers, the planned extension and rehabilitation of the airport has been one discussed for some time and he believes, that the time has come to move forward with realising it. “We have always talked about airlift and what it could do to a country or an island in terms of its future development and we believe, that for Nevis to really get to the level we will be proud of or certainly bring meaningful economic benefit to the island Nevis, we cannot do so without the necessary airlift and we cannot do that without expansion, extension or rehabilitation of the Vance Amory International Airport,” he said. The team of senior civil servants at the meeting were Director of Sales and Marketing at the Nevis Tourism Authority Devon Liburd, Director at the Nevis Disaster Management Department Brian Dyer, Permanent Secretary in the Ministry of Communication and Works Ernie Stapleton, Permanent Secretary in the Ministry of Tourism Carl Williams, General Manager of Nevis Air and Sea Ports Authority Oral Brandy and Acting Manager of the Vance W. Amory International Airport Daron Sutton. The group was headed by Consultant to the NIA Michael Perkins. Meantime, Mr. Perkins explained that the study would analyse, onsite, the existing conditions and collect all required information in order to define the physical potential for the expansion of the Vance Amory International Airport. He said the Consultant will applying all International Civil Aviation Organization regulations and standards of operation. The Study will also provide recommendations for the integral development of the airport that should operate as a system to support the selected design aircraft operations and provide the necessary services. It will also recommend the sequential steps to achieve these goals and prepare all base documentation for proceeding with a Master Plan to determine a 30-year development of the facility.